The Governor of the Central Bank of Samoa, Maiava Atalina Ainuu-Enari, has yet again warned members of the public to be vigilant to protect themselves against scams and the work of con artists. 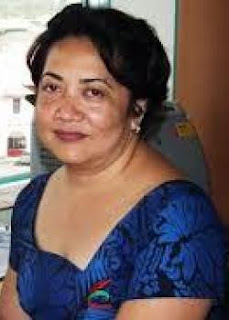 Speaking to the Samoa Observer, she reminded that scammers are imaginative, manipulative and are not afraid to lie their way into conning innocent victims. Maiava confirmed that there have been many cases in Samoa where people have been fooled. One such case involved a Samoan woman who thought she had found love online. “She had been in contact with the scammer (via email, Facebook and on the phone) for quite some time,” she said. “Finally, he convinced her to remit AUD$17,000 as payment for costs and fees so that he could come and meet her in person. “She processed two money transfers of AUD$8,500 each. But scammers don’t just target individuals. “A bank recently received instructions via email from a local company to remit funds overseas as payment for construction supplies. “An invoice and an authorisation letter signed by the authorised signatories of the company were provided to support the payment. In another case, the customer of a local bank had SAT$19,500 taken from her account. “She enquired with the bank for an explanation on her missing funds. The bank conducted its own investigation and discovered that 13 transactions of SAT$1,500 each were debited from the customer’s account and credited into five different account holders of the same bank. “These five account holders were interviewed by the bank and had been in contact with the scammer, either via Facebook or by phone. According to Maiava, scams come in all shapes and forms. “Scams do not always involve large amounts of money. There are lotteries, sweepstakes, promotions and competitions. The Governor pointed out that common sense should be applied when in doubt. Maiava added that scams do not discriminate. Another recent case involved the lottery. “The victim received a winning lotto notification from a company in the U.K. She was advised (by the scammer) to pay all fees and charges, in advance, in order to process her winning. “She even had to borrow from the bank to settle endless fees. After paying so many fees, she received a partial payment check of US$20,000. There are also people selling different types of scams. Recently, two individuals, who claimed to be representatives of an international investment company, came to Samoa and conducted promotions on a digital currency product. “They presented their investment proposal to different organisations and village communities,” Maiava explained. “Innocent investors were attracted to their investment plan -- that is, invest money and within a very short period of time, earn ten times more in return. As such, people invested their money in the scheme. Maiava said scam artists are always on the lookout for ways to fool unsuspecting members of the public. “We have been working with the local banks and money transfer operators to look for signs of a scam when people come in to send money to off-island accounts. “The bank tellers, who are the front liners, are the ones who should know almost immediately their customers are sending money to scammers, by asking questions. “Sometimes our people are stubborn and despite advice against sending the money, they tell the tellers that it’s their money and they will do what they want with it. Lastly, Governor Maiava said no one is immune -- even highly intelligent people. A recent case involved a lawyer. “Please, if you are unsure, come into our office we are more than happy to look into the matter for you to make sure this is not a scam,” she said. “This is one task that our office is keen on, to reduce the amount of people falling into scams especially from online and overseas, said Maiava.